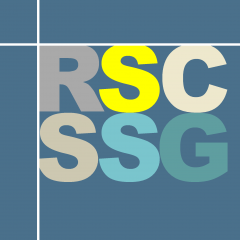 The RSC SSG sponsors several conferences and symposia on separations science-related topics throughout the year, and promotes similar events organised by other groups across the UK and Europe. Our next meeting, on Emerging Separations Technologies , will take place on the 28th of March, 2019 at Burlington House. Registration details and a full agenda may be found here. Organised together with the Water Forum and the Environmental Research Group. The one-day meeting highlighted advances in the analysis of complex environmental matrices such as soils, sediments, water and air, by GC, LC, MS and cheminformatics-based approaches. Organised along with the Chromatographic Society. The programme was designed to give attendees an update for both routine and problem solving in clinical and forensic analysis, and included talks from established experts and emerging professionals, including Prof Leon Barron (King’s College London), Dr Melanie Bailey (University of Surrey), Dr Gordon Ross (Agilent Technologies) and Dr Joost Brandsma (University of Southampton), amongst others. This year, the meeting also celebrated the career and achievements of Prof David Perrett, the keynote speaker. The Knox Medal is awarded by the RSC Separation Science group to individuals deserving special recognition for their innovative and influential work in the field of separation science. It was first awarded in 2010, and in 2018 the SSG presented it to Prof James Jorgenson for his many achievements over the course of a highly successful career as an innovator and separation scientist, with a particular acknowledgement of his seminal contributions to the development of ultrahigh pressure liquid chromatography (UHPLC) and capillary electrophoresis (CE). A symposium in honour of Prof Jorgensen was organised by the SSG and took place on the 29th of June 2018 at Burlington House; it featured eight talks on the history, current state-of-the-art and future directions of separation science, by world-leading experts from academia and industry. As described in the agenda, the talks emphasized the extensive impact of Prof Jorgenson’s research and his role in developing advanced LC instrumentation, which has had far-reaching consequences for the practice of separation science. Organised with KVCV. The 15th International Symposium on Hyphenated Techniques in Chromatography and Separation Technology (HTC-15) took place in Cardiff City Hall from January 24th to the 26th, 2018. The conference was chaired by the SSG’s own Prof John Langley. As in the past, HTC-15 covered the latest developments in instrumentation and methodology related to such hyphenated techniques, while also presenting sessions devoted to fundamental aspects of separation science. The scientific committee, led by Tom Lynch (FRSC, British Petroleum) and Professor Peter Schoenmakers (the University of Amsterdam), put together an exciting conference programme that included sessions on big data, chemometrics and in-silico method development; sample preparation and automation in biopharma; green separations; microfluidics and flow-process technology; toxicology/forensics/drugs in sport; and many more topics of interest to the practicing separation scientist. The 3-day conference consisted of three parallel sessions, one of which was dedicated to the work of early-career researchers (ECRs). Three short courses were held just prior to the main conference, on supercritical fluid chromatography (SFC), analytical techniques for biopharmaceutical applications, and on the statistical analysis of chromatographic data. There was also a large technical exhibition running alongside the symposium itself, featuring products and demonstrations from companies such as Shimadzu, Markes International, HiChrom, Waters and Agilent, and social and networking events at the end of each day of the conference. Organised with the Chromatographic Society. This meeting followed on from the success of a similarly-themed event in 2015, and included speakers such as Prof Pauline Rudd, from the University of Dublin, Prof Apryll Stalcup from Dublin City University, Dr Szabolcs Fekete from the University of Geneva, Prof Patrik Petersson of Novo Nordisk Denmark, and Dr Cris Lapthorn from GSK UK. What’s new in the analysis of complex environmental matrices? Organised together with the RSC’s Environmental Chemistry Group and the Water Science Forum; a one-day meeting featuring speakers from across the UK and Europe. A full summary of the meeting can be found here. Organised with the Chromatographic Society. The meeting focused on the latest technological developments for clinical applications, in particular the application of novel sample preparation techniques and the wider utilisation of mass spectrometry in clinical analysis. More meeting highlights can be found here. The program included plenary lectures, keynote lectures by young scientists, prominently featured poster presentations, an instrument exhibition displaying the latest instrumental innovations, and a highly attractive social program offering opportunities to meet with world-renown scientists. Organised together with the RSC Food Group. The 2016 meeting on ‘Advances in the Chemical Analysis of Food’ was held on the 29th of April, at the Royal Society of Chemistry’s Burlington House venue. The meeting was jointly organised by the RSC’s SSG and the Food Group, and featured leading scientists from across the UK and Europe. Speakers focused on the application of novel and established separations techniques to solve challenges in food analysis, nutrition and allergen studies, flavour and odour chemistry, and food authentication. The following video, presented by the SSG’s very own Lewis Jones and Anatune’s Kathy Ridgway, features highlights of the day’s events, and provides a glimpse of some well-known faces and of course, the historic and awe-inspiring venue. Organised with the Chromatographic Society. The meeting encompassed GC, HPLC, SFC and CEC. The lecture programme featured prominent international speakers and was complemented by a vendor exhibition. The HTC series is the premier platform for state-of-the art developments in hyphenated separation techniques. What can ion mobility do for me? One day symposium discussing the application of ion mobility to current analytical problems. Speakers from academia and industry presented recent analytical advances being applied to address challenges posed by the petrochemical industry. Robens Suite, 29th Floor, Guy’s Hospital Tower London, SE1 9RT. Organised with the Chromatographic Society and Accredited by the Royal College of Pathologists.